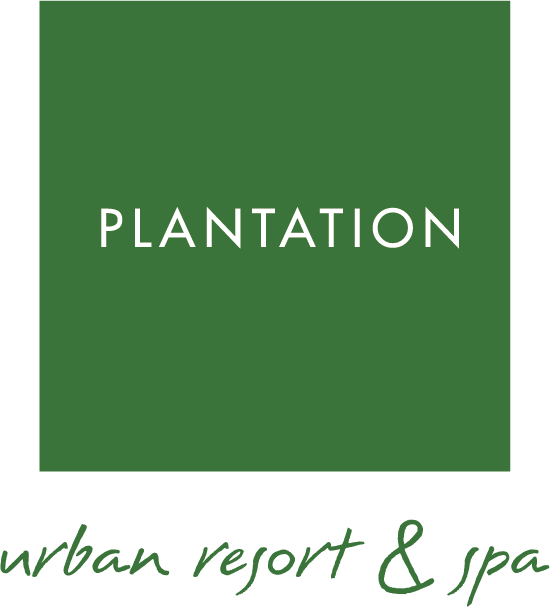 At the heart of Plantation is our slate-tiled swimming pool, lined by tropical gardens. Take a swim or laze away the afternoon in one of our shaded sunbeds or salas. Reserved for exclusive use by our guests. 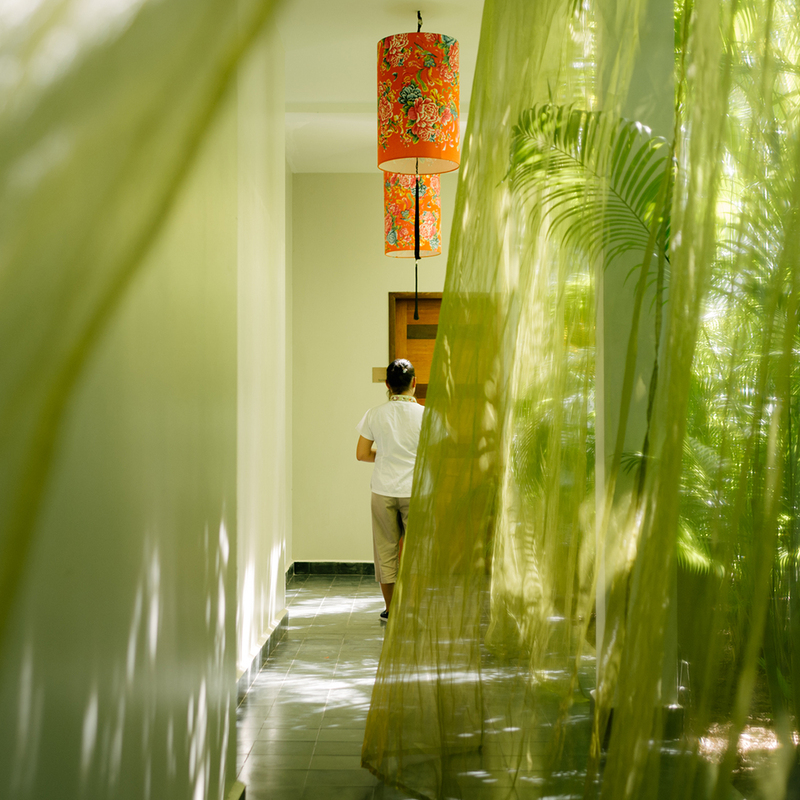 Unwind your mind and rejuvenate the body at Plantation Spa. 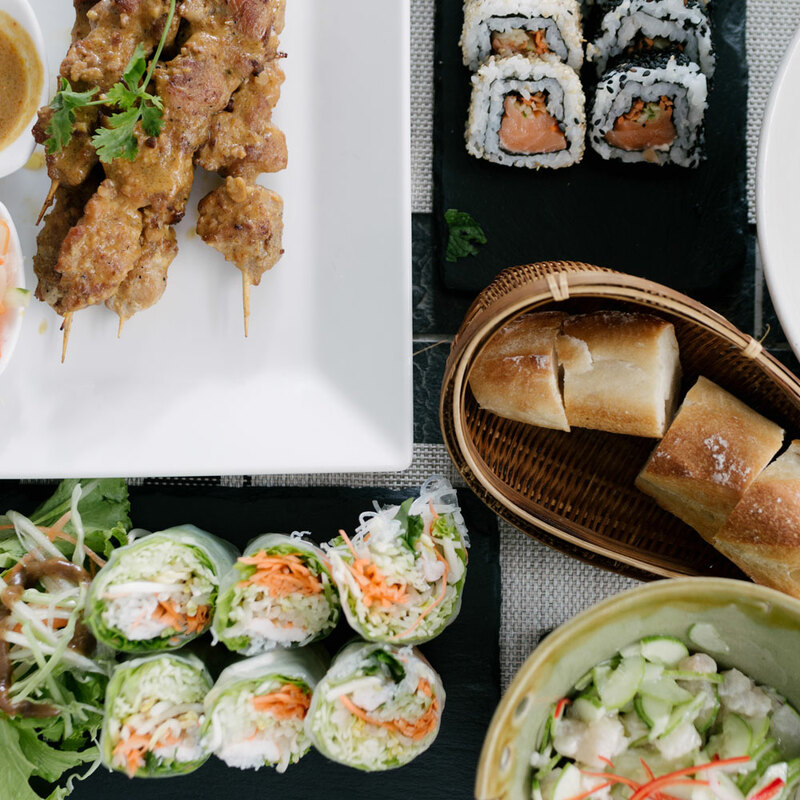 Local ingredients and traditional practices combine for an authentic Cambodian experience. 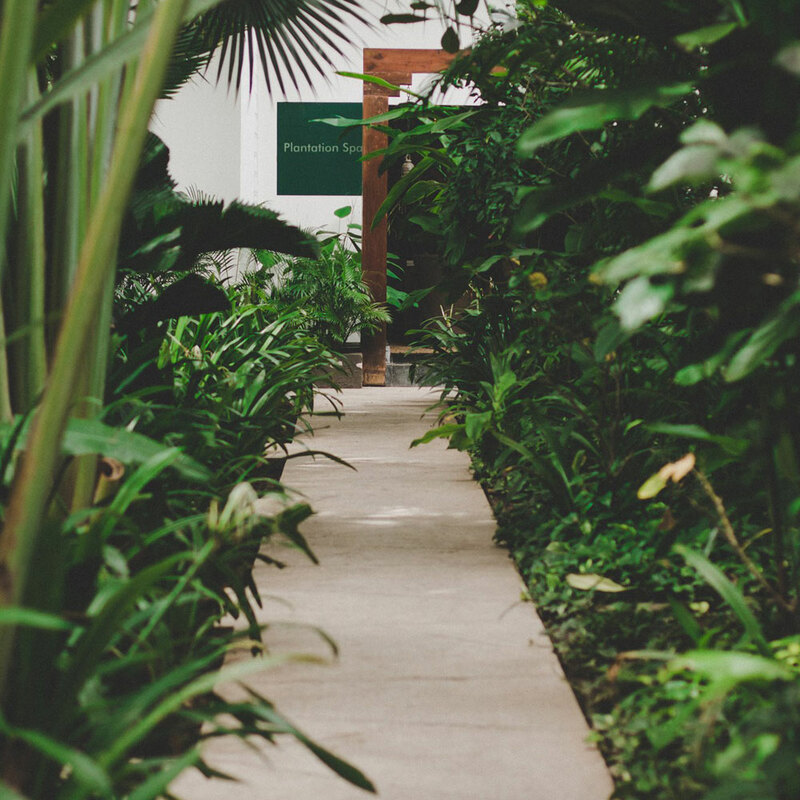 Come out of the street and into the calm of the Lotus Pond Gallery. 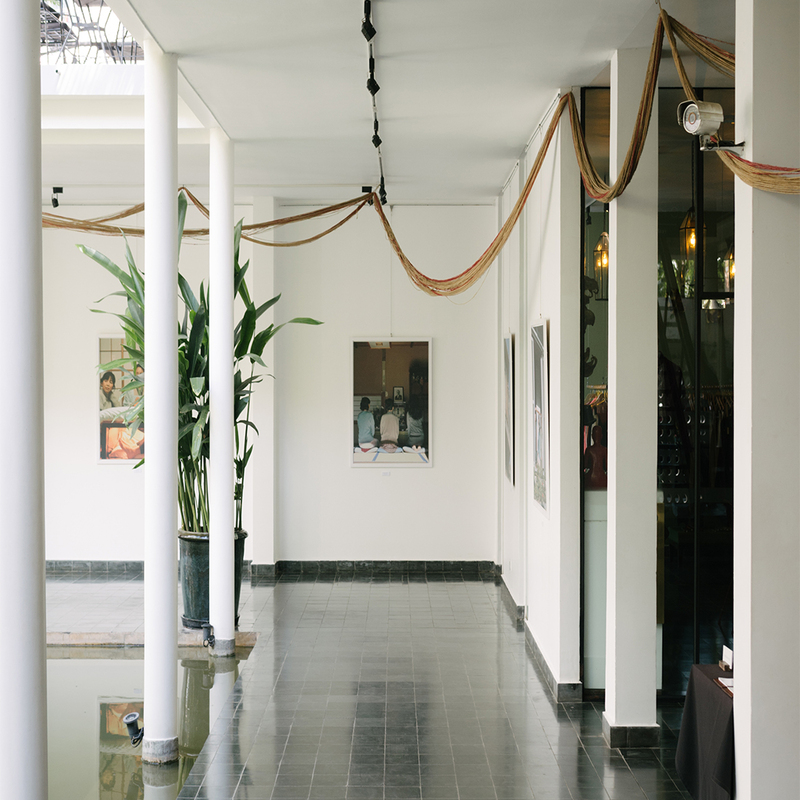 Set amidst an aquatic garden, local and international artists are regularly exhibited in this open-aired space. 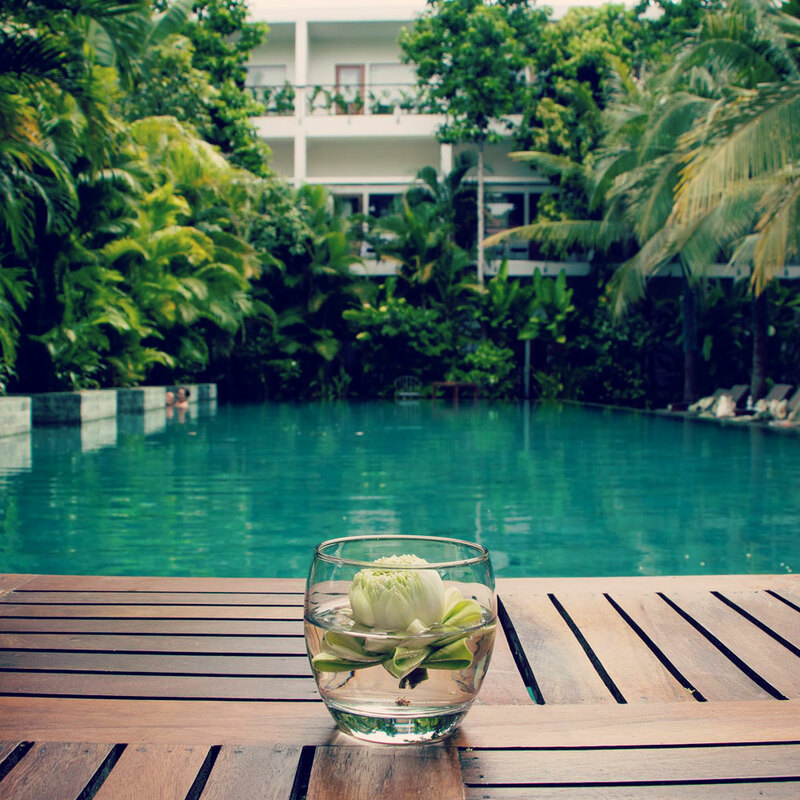 At the heart of Plantation is our gorgeous slate-tiled swimming pool, lined by tropical gardens. Take a swim or laze away the afternoon in one of our shaded sunbeds or salas. Reserved for exclusive use by our guests. Western and Khmer food served poolside in a casual atmosphere, with an extensive breakfast buffet. Come evening, dine at La Pergola and be inspired by creative cuisine. The familiar and exotic, together at last. 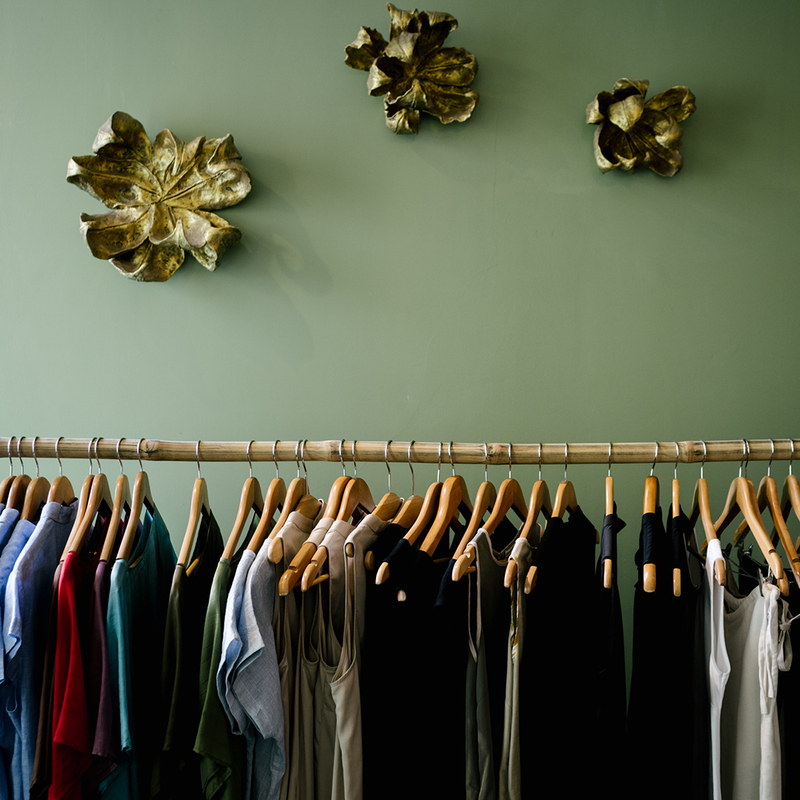 Offering a well-curated selection of locally-made postcards, prints, objets d’art, jewelry and stylish clothing, Cambomania Shop is a one-stop boutique when seeking the perfect momento. 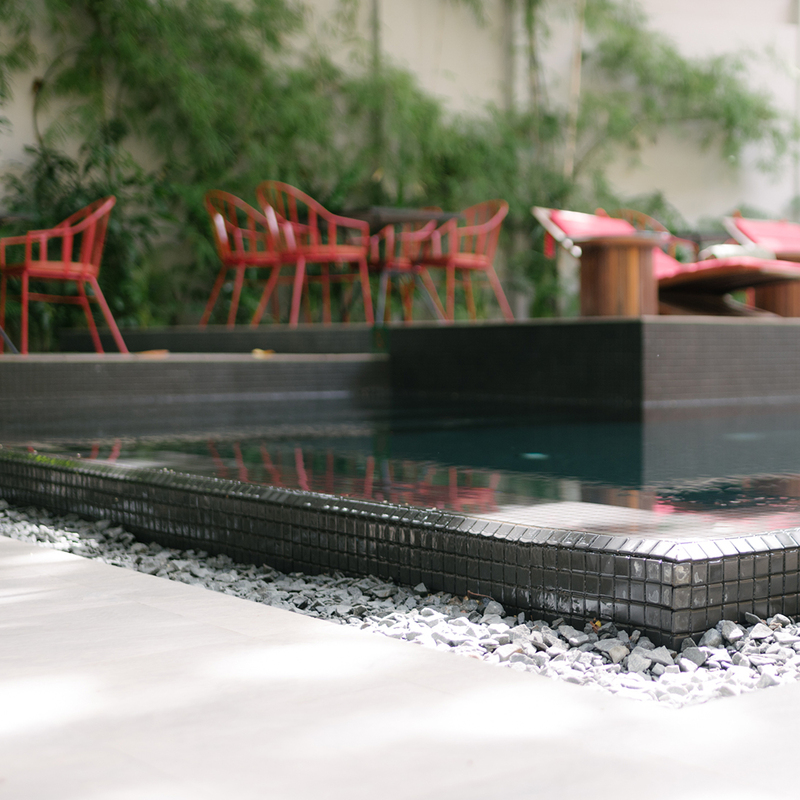 The Red Pool Bar is stylish and relaxed with its sundeck, plunge pool and cool vibes. A place to meet business partners, enjoy a cocktail, or take a quick swim. This space is open to the public and available for events. 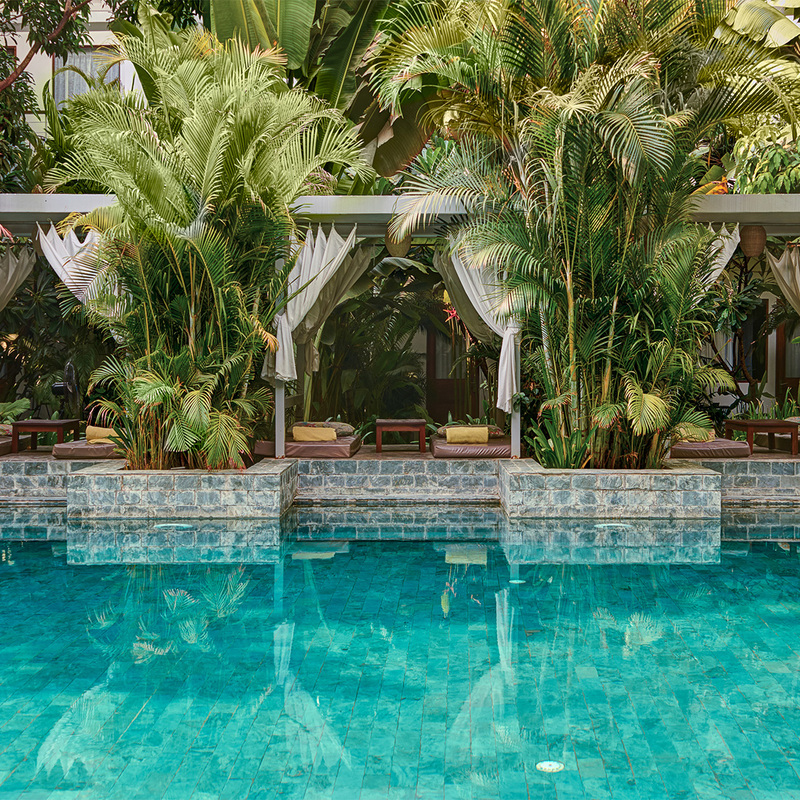 Western and Khmer food served poolside in a casual atmosphere, with an impressive breakfast buffet. Come evening, dine at La Pergola and be inspired by creative cuisine. The familiar and exotic, together at last.